The youngest of six children, Lee Alexander McQueen was expected to become a plumber, a bricklayer or possibly a cab driver like his father. Instead, McQueens fierce romanticism and punk poetry helped create 1990s-era ‘Cool Britannia’. For perhaps the first time since the Swinging Sixties, a lad from the East End of London could - and did - become one of the most original and influential artists of the 20th Century. 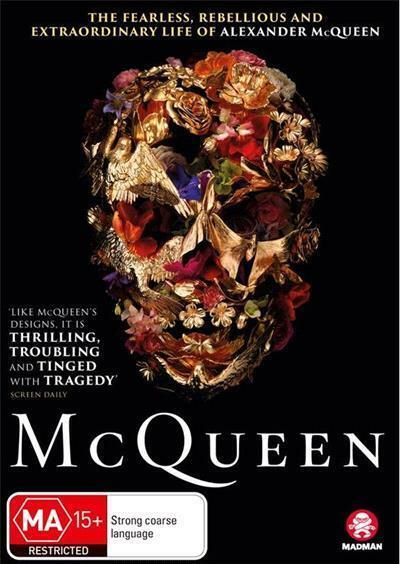 McQueen is a thrilling rags to riches portrait of a complex artistic genius. Through exclusive interviews with McQueen’s closest friends and family and never-before-seen archives, McQueen reveals an unmatched talent who expressed his darkest fantasies and greatest ambitions through his revolutionary designs and runway shows.